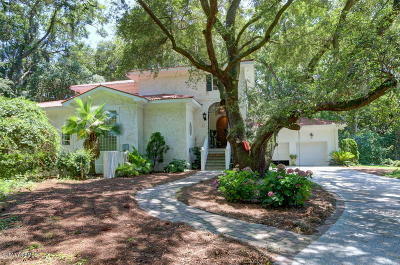 Come enjoy spectacular views from this well maintained deep water estate. 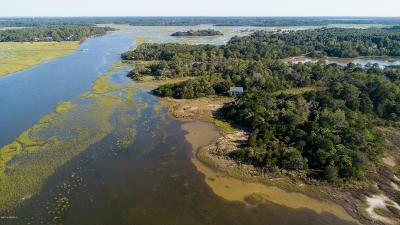 Located on the point of Eddings Point where Eddings Point Creek, the Morgan River, and the St. Helena sound all come together. The main house features 3 bedrooms with 3.5 baths, a gorgeous kitchen with granite counter tops and gas range, formal dining room, very large family room, living area, carolina room, and a waterfront exercise room. 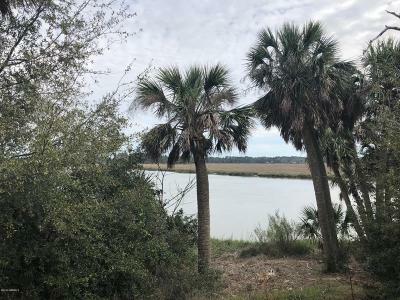 This home has many added extras including a private dock with built on gazebo and live bait well, outdoor gas grill attached to gas line, oversized porch, automatic hurricane shutters, and carport for one car. This property also includes a two bedroom, one bath guest house equipped with a full kitchen and attached carport to accommodate 4 cars. 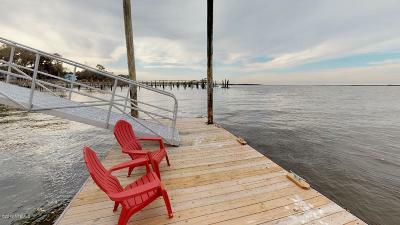 Come enjoy the stunning views from this very well maintained deep water home. 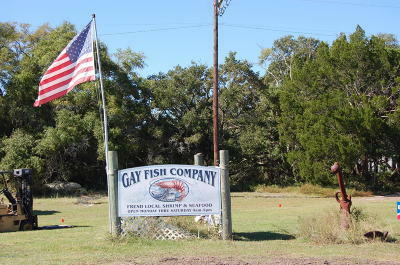 Located on Eddings Point. 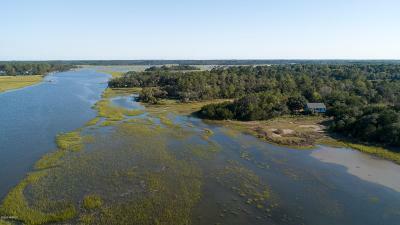 Gorgeous views of the Saint Helena Sound, Morgan River, and Edding Creek. 3BR and 2 BA's located on the main floor, including the owner's suite with en suite bath. 1 BR w/full bath located on the second floor with an unfinished bonus room that could easily be finished into another bedroom. Stunning heart of pine flooring throughout the main living area and bedrooms downstairs. Beautiful kitchen/dining combo with lots of cabinet space, small pantry, stainless appliances, and tile flooring. 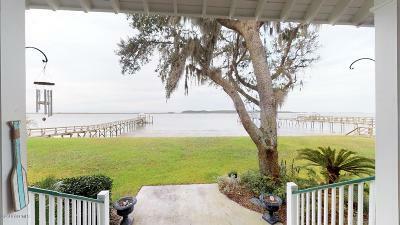 One screened and one open porch with excellent views of the water. An open porch on the opposite side of the house gives beautiful views of a pond across the street. 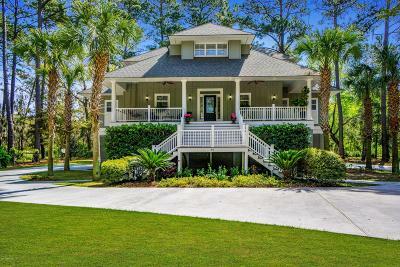 In the heart of the Lowcountry, this elevated home takes in views of Port Royal Sound towards Hilton Head Island. Spectacular sunsets await you from nearly every room. 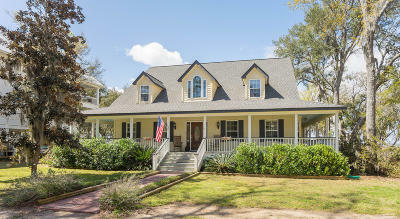 The stately front entry gives way to total relaxation in the true Lowcountry style. Formal dining blends to the great room and massive porch beyond. The newly remodeled kitchen features cherry cabinetry and gorgeous granite surfaces. Built in appliances and pantry complete an elegant look. Gleaming tigerwood floors flow through the entire living space. The owner's suite catches the sunlight as it plays across the water. An elevator serves this two-story home. There is parking for multiple vehicles and a boat on the garage level. Relax in your inground pool overlooking a private dock on 1.65 pristine acres. 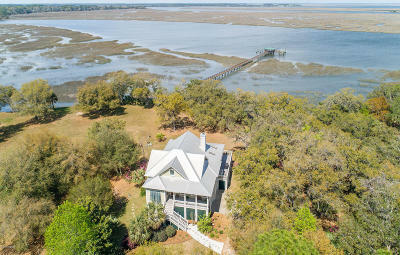 Must see Fripp Point DEEP WATER home with dock and boat lift. 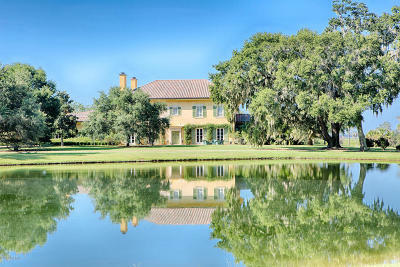 Enjoy a .50 acre Allison Ramsey lowcountry design. Relax and enjoy the view of Coffin Creek from the generous screened porch. Views from almost every room in the house. The large spacious floor plan with master on main floor plus another bedroom. Eat in kitchen, fireplace, wet bar, and dining included! Upstairs offers 2 bedrooms and 2 bathrooms with a flex living space. Storage galore! Longleaf pine floors out of the Florida panhandle throughout. 2 car parking underneath with workshop and ample storage. Shared dock with 2 floats. Short drive to beaches or historic downtown. RARE OPPORTUNITY to own oceanfront at Coffin Point w/ Guest Cottage! 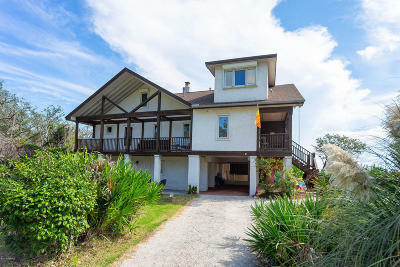 Artistic home includes handmade terra cotta tiles, stucco fireplace, heart pine floors & ocean views across entire main level. 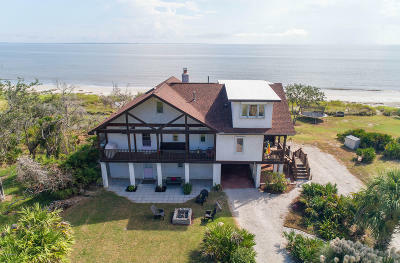 Casement windows, solid wood doors, spacious vaulted ceilings w/ exposed wood beams brings tons of light, charm & character to this one of a kind ocean retreat. 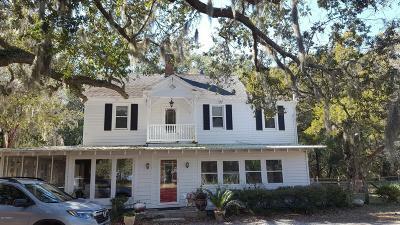 Main house boast 3 bedrooms & 2.5 baths, plus sleeping loft! Expansive deck, butlers pantry & tons of storage - 2 carports & outdoor shower. Guest house (additional 593 sf) is over extra large 1 car garage & man cave/bar room. 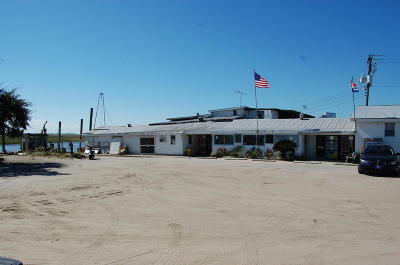 2 bedrooms, 1 Bath, living /dining/kitchen area complete w/ ocean front deck. Sandy beach, fire pit & hammock expand your resort lifestyle at this beachfront gem. Call & schedule your private viewing today! 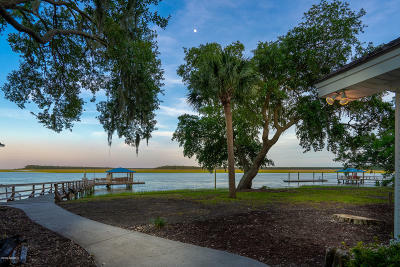 Enjoy summer breezes and endless sunsets across Port Royal Sound from 107 Fort Fremont Rd. 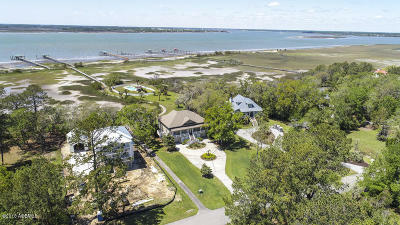 Situated on two lots, with 150 feet of sandy beach frontage, this is one of Lands End's largest waterfront properties. The house features three bedrooms and two and a half bedrooms with wrap around porches and deck for outdoor living. 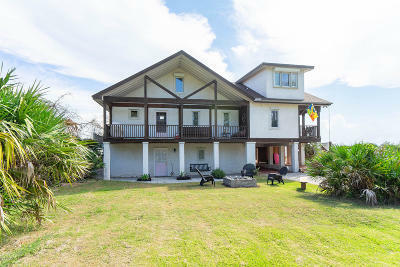 The over sized,detached two car garage has an unfinished room above and there is an additional outbuilding for your boat, yard equipment and recreational toys. 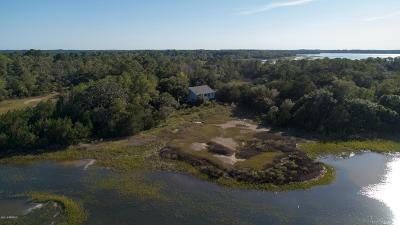 Spectacular expansive views from the high bluff piece of deepwater acreage with over 700' of waterfrontage. 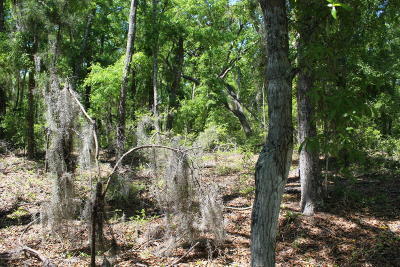 Property is draped with live oaks and foliage. 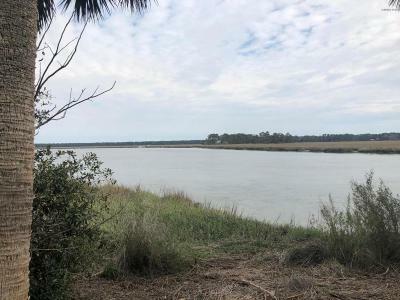 Bud Miley Road runs along a portion of the waterfrontage, however, sellers are willing to work with buyer to relocate it on site. 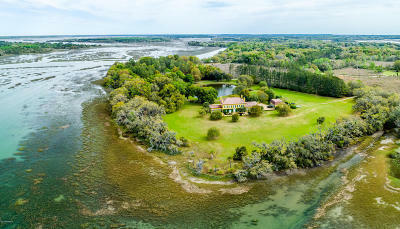 30 acre Waterfront Compound with over 2600' of water frontage. 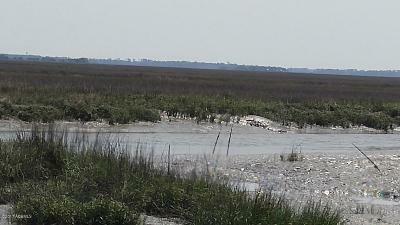 1300' expansive views over Jenkins Creek and another back 1300' on the back side marshes of Warsaw Island. House on property is habitable but being sold ''as is''. Dock Permitting in progress. This property is three parcels (R300 009 000 0052, 0053 & 025A) comprising 30 acres. 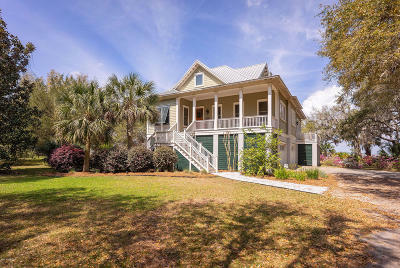 61 McTeer Drive is located in the Historic eclectic community of Coffin Point Plantation on St Helena Island, South Carolina.This three bedroom, three bath historic home is the original caretaker cottage to Coffin Point Plantation. 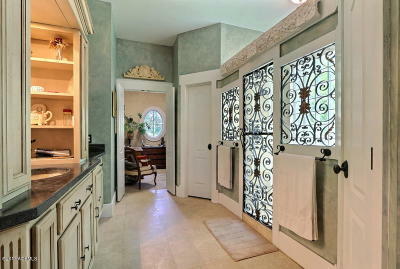 Built in 1893, this home has been listed on the National Registry of Historic Homes. 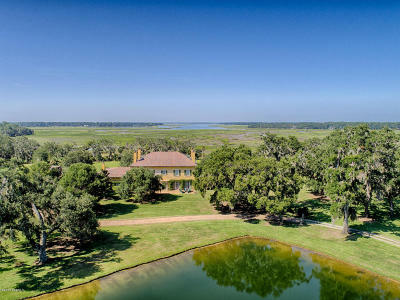 Sitting on two acres surrounded with live Oak, this beachfront home is the true sense of the Lowcountry. This home sits on two acres facing the river. 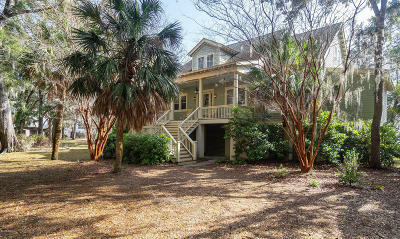 Surrounded by Live Oaks, Magnolias and palm trees while giving seclusion on the beach. New home completed in Aug of 2018. Customized Allison Ramsey Bermuda Bluff Plan. 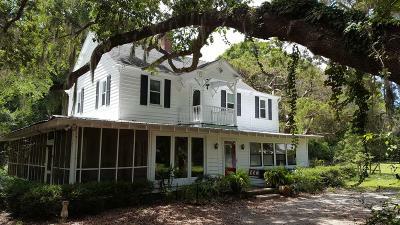 Enter through the mahogany front door and the first thing you notice is the wide open view of the Beaufort River marshes. 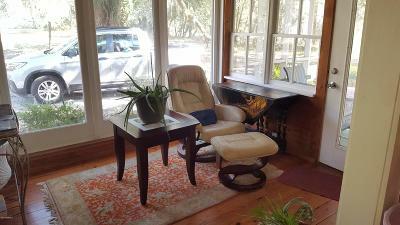 Sit on the screened back porch and take in the low-country. 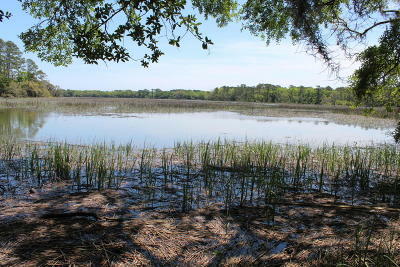 Look to left and you will see the Beaufort River. 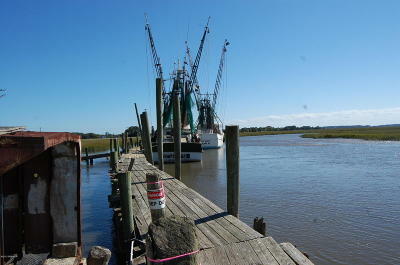 Bermuda Bluff is one of Beaufort's best communities. 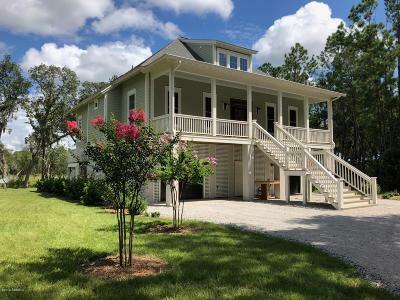 It is perfect for those who appreciate the natural beauty of huge oaks, pristine marshes and the deep waters of the Beaufort river. 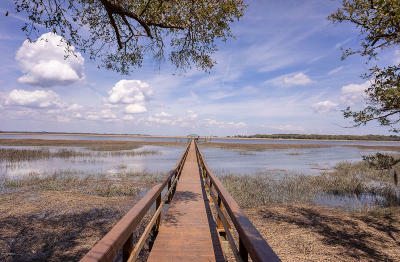 The community dock, ramp, observation tower and walking trails just add to the appeal. There is also a pool and clubhouse. The office can be easily used as a bedroom per the original plans. Gate code required. See details in associated docs. This home has a whole house generator. Deepwater lots up to possible 3 lots. 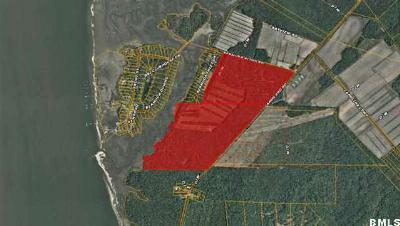 Fishing village zoning offers low tax amounts on land. 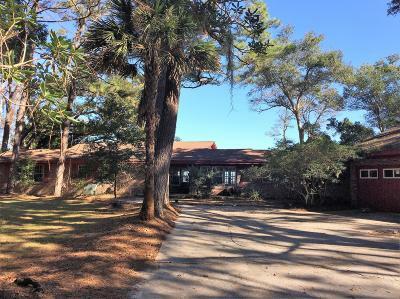 This listing is both 1928/1926 Sea Island Pkwy with a approximately 1950 square foot home conveying as-is. 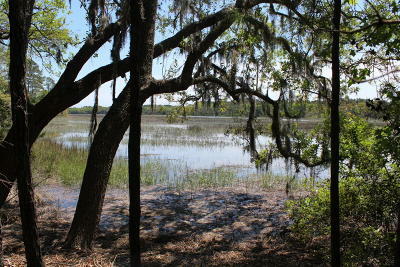 Beautiful 72.51 acre tract of quality agricultural land. 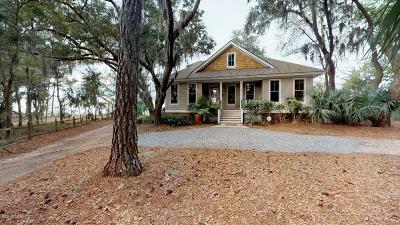 Good location Only 20 minutes from downtown Beaufort and only 15 minutes from the beach at Hunting Island State park. 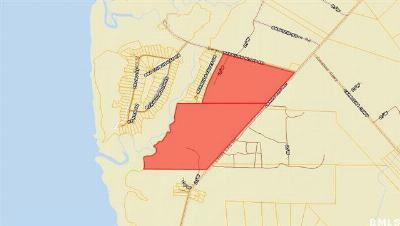 Paved road access Partially wooded, 31.87 gross acres of the 72.51 acres are currently tilled cultivatable farmland. The fields are maintained and ready for planting. 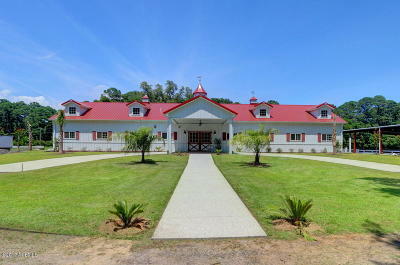 Perfect for a private residence and large farm for agricultural use, horses or hunting. Conservation Easement on property see documents.